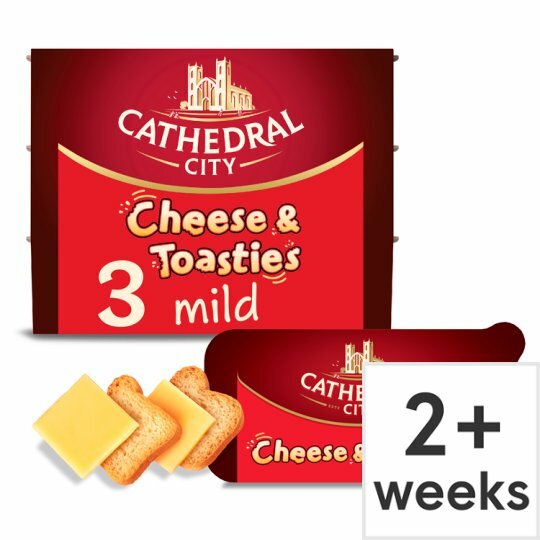 Little slices cut from our smooth and creamy Cathedral City Mild Cheddar paired with mini toasts. Perfect for lunchboxes or an after school or tea time snack. In a multipack of three for convenience.